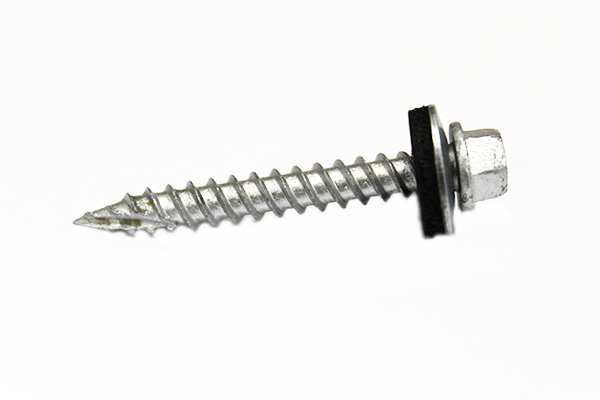 Birmingham Fastener is a leading manufacturer and distributor of bolts and fasteners. We provide quick service and free quotes. Timber-Tite Screws are coated with our exclusive B-Kote to meet 1,000 hour salt spray testing and to be ACQ compatible. Type 17 point allows for quick penetration with a “non-walking” point through high tensile steel. Type 17 point moves shavings and debris away from the EPDM washer, resulting in a cleaner installation. Deep Root thread design allows for greater holding strength in various wood materials. Birmingham Fastener has the ability to match all building manufacturing colors. With our in-house powder coat facility, we can provide an attractive durable finish unmatched in the industry. Download a list of our standard colors, or contact our sales team to discuss how we can create custom colors. Sign up today to receive our news and updates by email. We respect your privacy.